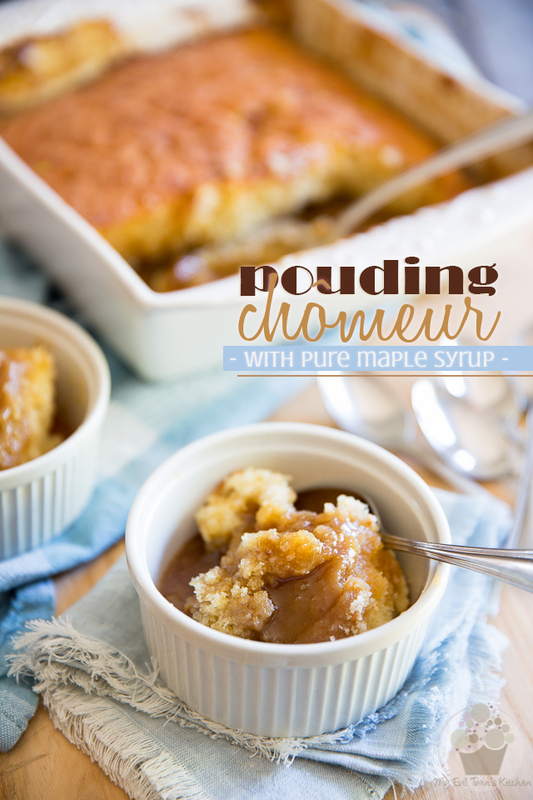 A true staple in Quebec, Pouding Chomeur is a moist vanilla cake cooked in its very own creamy maple sauce. 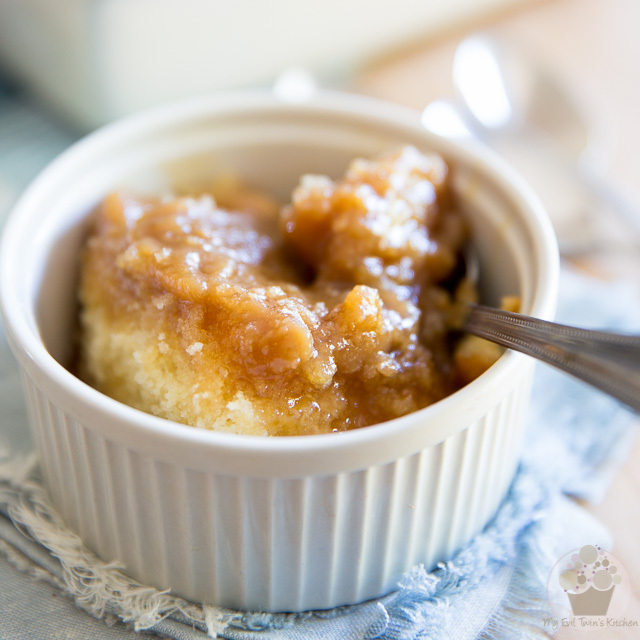 As easy to make as it is delicious to eat! Pouding Chomeur (which literally translates to unemployed man’s pudding) is a true staple here in Quebec. 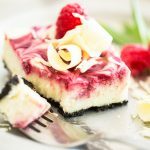 It’s an extremely popular dessert, born out of necessity, that was allegedly created by female factory workers early during the Great Depression. Be warned though. 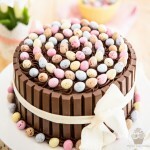 I am not kidding when I say that this cake is sweet! In fact, sweet would be kind of an understatement. 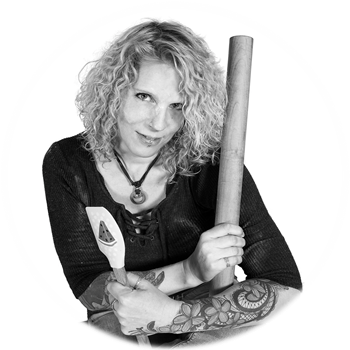 Pouding Chomeur is NOT for the faint at heart; for the untrained palate, it may even be too much to handle! But, a little goes a long way, you know… keep your portions small, and you’ll be in for a real treat! Still, one of the main complaints that people tend to have when making is that there’s never enough of that delicious syrup at the bottom of the pan. People DEMAND more sugar, more sweetness! Well, trust me when I say that this is a total non-issue with my recipe! You’ll have PLENTY of that delectable creamy maple sauce for all to enjoy, and very generously, might I add. 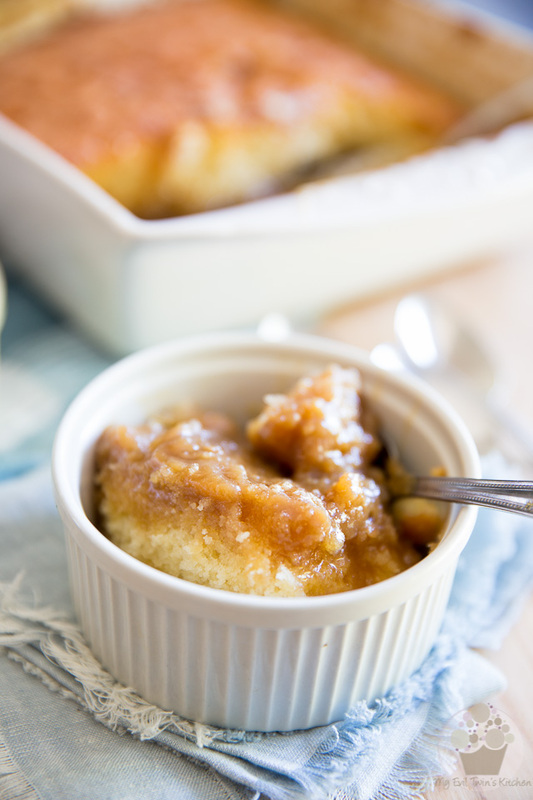 Don’t think of Pouding Chomeur as just plain white cake topped with warm maple sauce. It’s way more than that. 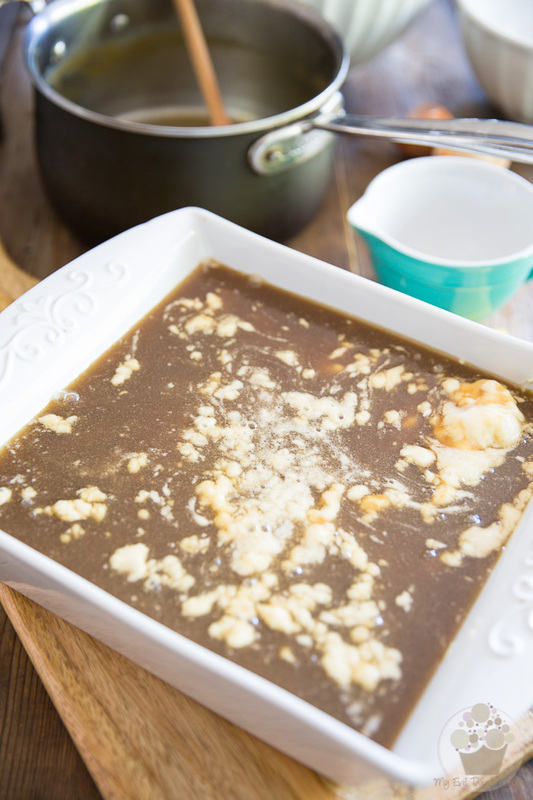 Pouding Chomeur is a totally decadent experience that you have to try at least once in your life. 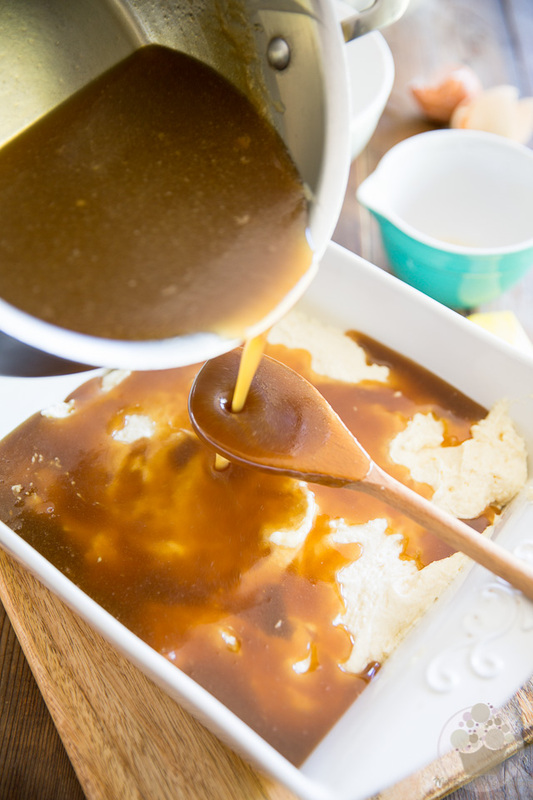 As the cake bakes, it rises right through the syrup, so the top layer (which becomes the bottom, once it’s been inverted onto your plate) is like a super tender and tasty maple infused, light and airy vanilla cake. 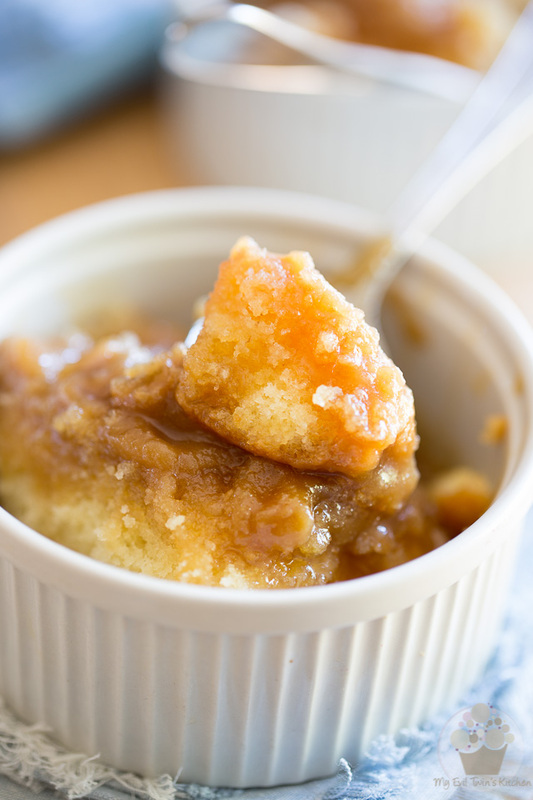 Then you get a layer of that cake that’s been left soaking in the sauce the whole time, so it’s super moist and totally impregnated with the sweet caramel-y syrup. And finally, at the very bottom is a layer of “cake-completely-blends-in-with-sauce” that feels just like soft fudge in your mouth. And as if all that wasn’t enough, you get to top the whole thing with some of the creamy maple sauce that still sits at the bottom of the pan. Did I mention this thing was decadent? Funny thing is my son doesn’t have a sweet tooth at all, yet, this is is favorite cake in the whole wide world. Probably the only cake that he will actually eat, or request that I make. It’s even become his official birthday cake — in fact, the very cake you are looking at right now was his birthday cake this year. Unfortunately, we were all so full after dinner, no one had room for even the slightest bite of cake. The good thing is I got to take pictures for you guys to see. Plus, I think Pouding Chomeur is one of those cakes that just seem to taste better with every passing day, so no biggie, he’ll still get to enjoy it! Most people like to eat theirs warm, but I’m the weirdo who prefers hers at room temperature, or even cold. The thing reheats super well, though, so if you’re a fan of warm, just pop any leftovers in the microwave for a few seconds and you’ll be good to go. But before you can reheat your leftovers, you gotta make the actual cake first — what do you say we get started? 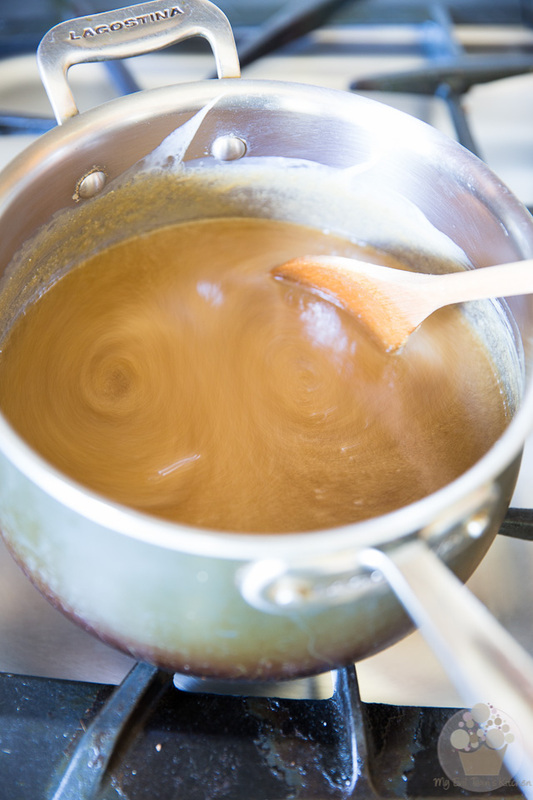 Combine the maple syrup, brown sugar, heavy cream, butter, salt and vanilla extract in a medium saucepan; cook over medium heat, stirring from time to time, until the butter is melted and sugar is dissolved. Kill the heat and reserve. 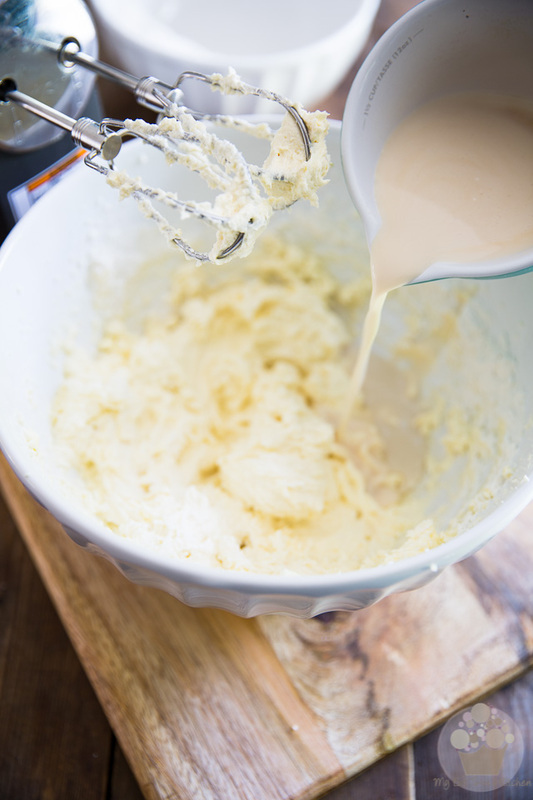 In a large mixing bowl, cream the butter and sugar with an electric mixer until light and creamy, about 5 minutes. 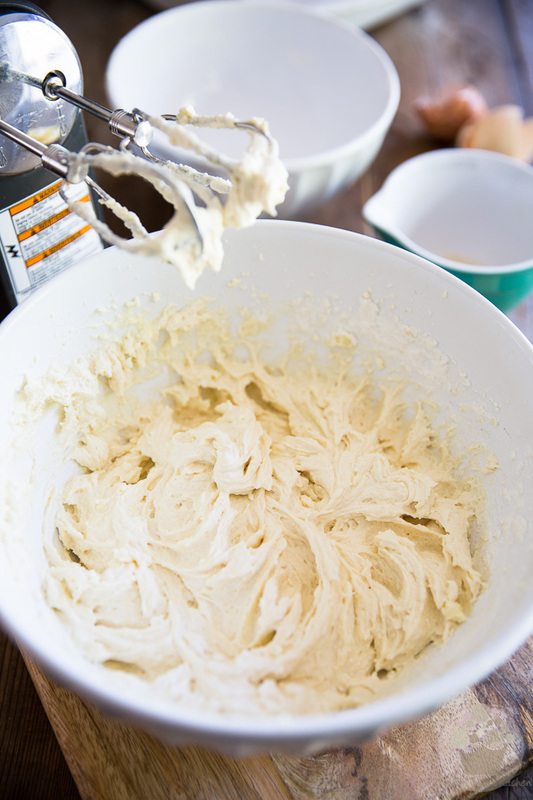 It’s important that you really CREAM the mixture here, not just mix until the butter and sugar are incorporated. Do beat them for a decent amount of time, until the butter becomes really light in color and the mixture has a fairly light and airy consistency. 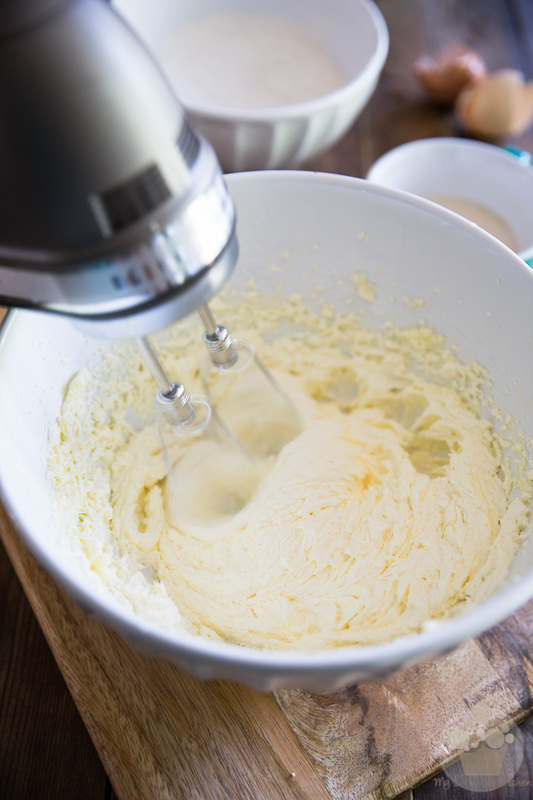 …and resume mixing until the mixture becomes light and fluffy, about 2 minutes. Then, in a separate bowl, place the flour, corn starch, baking powder and salt and mix until very well combined. Also, measure your buttermilk and mix the vanilla extract right into it. Then, pour in half the buttermilk and vanilla and resume mixing on low speed until just combined. 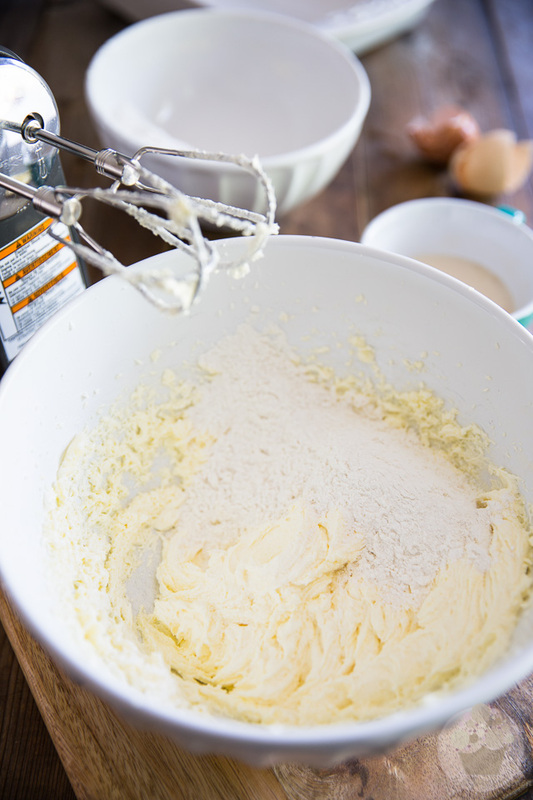 Repeat with 1/3 of the dry ingredients, then buttermilk, and finally, add the rest of the dry ingredients. 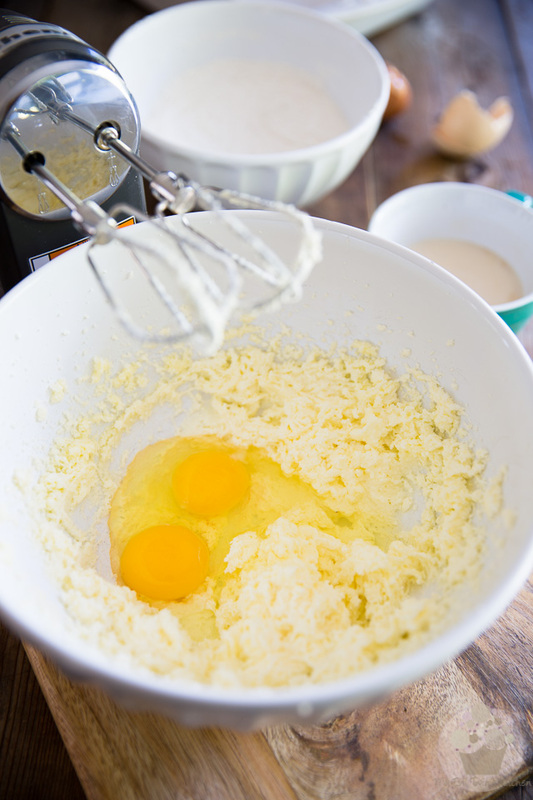 Mix only as much as necessary; you don’t want to over-mix the batter. 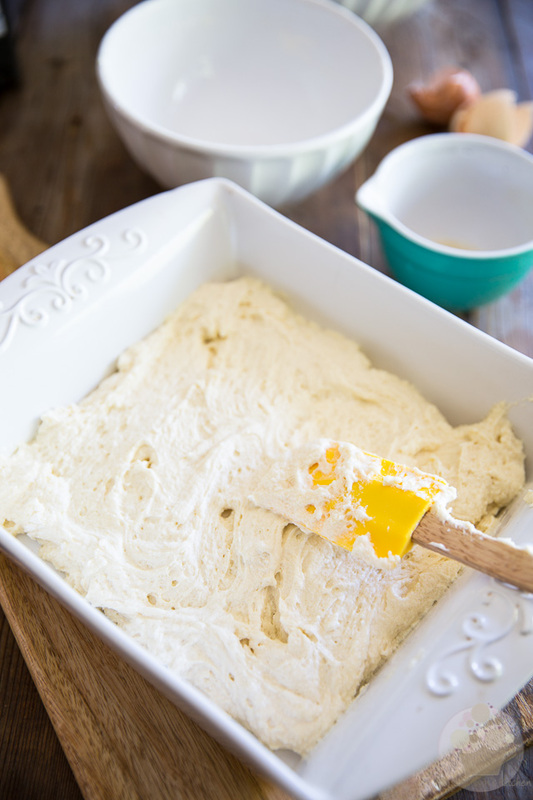 Transfer the batter to a 9″ square baking dish and spread lightly to the edge. Delicately pour the reserved syrup over the batter — I like to place a spoon under the stream of warm syrup to kinda help break its fall. I strongly suggest that you do the same, or use a ladle to pour your syrup into the pan. Now this will most probably happen to you and it’s completely normal: the batter sort of wants to raise to the surface. Don’t panic, it’s okay. 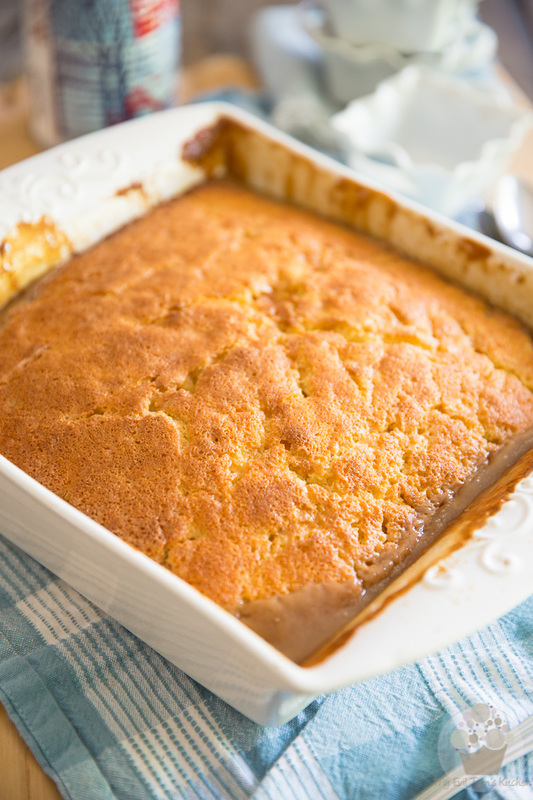 Just delicately transfer your cake to the oven and bake it for 40 to 45 minutes, or until its top is beautifully golden and appears completely set. Be gentle when you remove your cake from the oven as it’ll be a little wiggly still, what with all that sauce at the bottom. 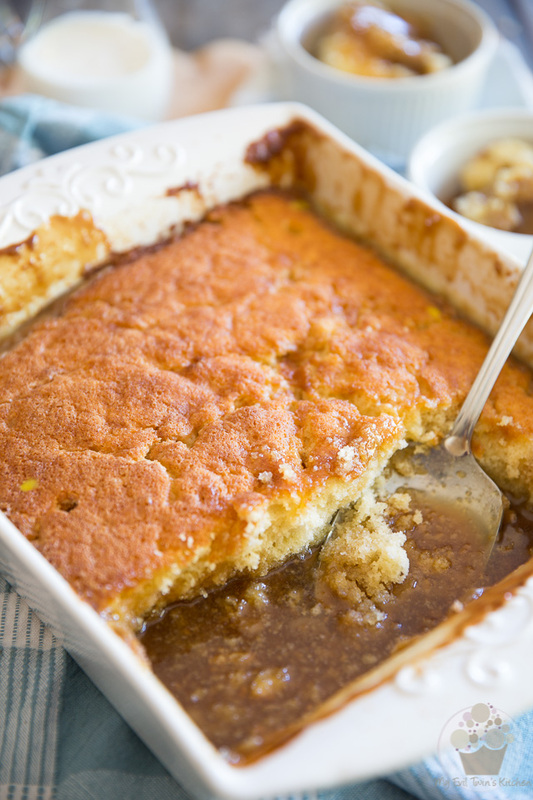 Speaking of which… can you see that sweet, creamy and thick maple sauce oozing on the side of the cake? Oooooh, I bet you can’t wait to dig in! I’m afraid I’ve got some bad news for you: you’re gonna have to be a little patient, here, and allow your cake to cool for a few hours before serving. If you were to serve it right away, it would be way too hot and you wouldn’t be able to enjoy its amazing flavor to its full potential. Not only that, but as it cools, the sauce will become thicker, creamier… some of it will continue soaking into the cake, and some of it will sink to the bottom of the pan. Oh, it’s a beautiful thing, you’ll see. Give it time. At least a couple of hours. You can do it! And then, finally, your patience will be rewarded with this! See? I wasn’t kidding when I said that this Pouding Chomeur would not leave you feeling deprived in the sauce department! 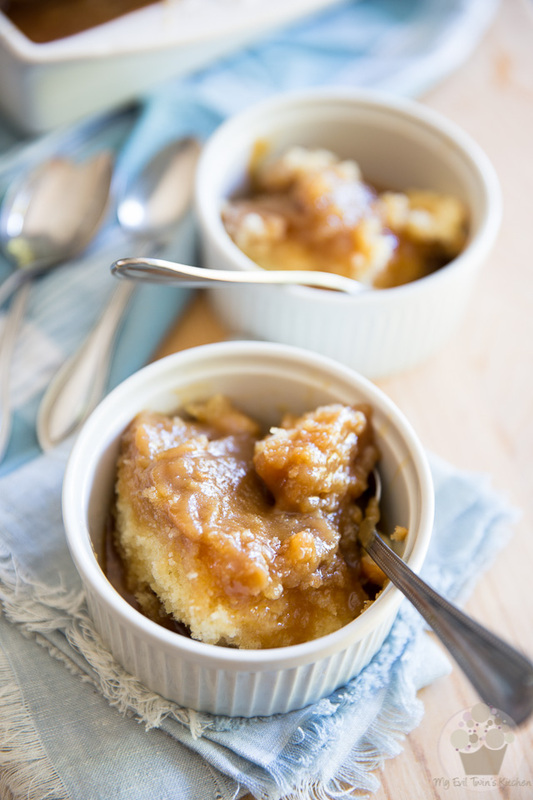 When you are ready to serve the cake, flip the pieces upside down into small bowls or ramequins and then top each portion with some more of that delicious maple sauce. And then prepare for lift-off! 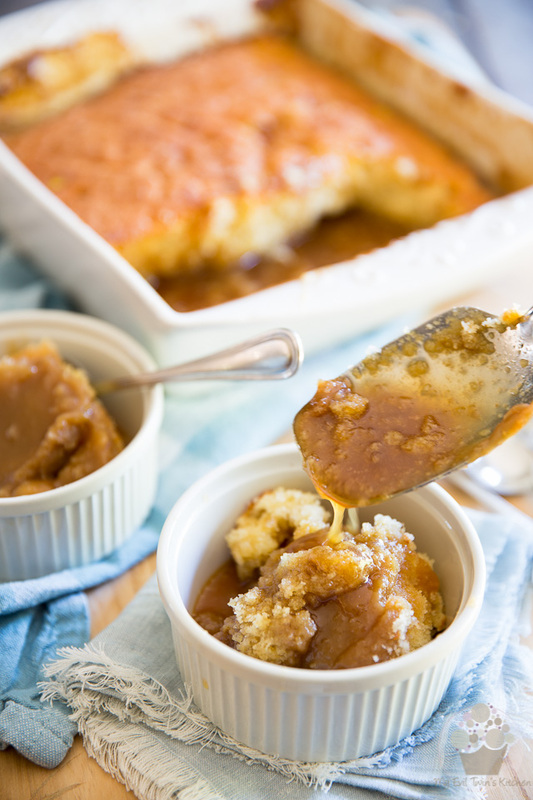 Combine the maple syrup, brown sugar, cream, butter, salt and vanilla extract in a medium saucepan; cook over medium heat, stirring from time to time, until the butter is melted and sugar is dissolved. Kill the heat and reserve. 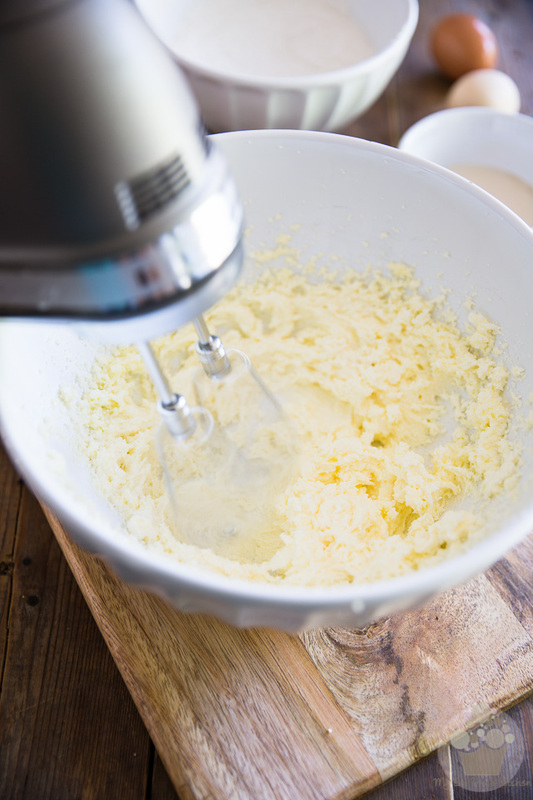 In a large mixing bowl, cream the butter and sugar with an electric mixer until light and creamy, about 5 minutes. Add the eggs and resume mixing until fluffy. about 2 minutes. In a separate bowl, place all the dry ingredients and mix until very well combined. Then, mix the vanilla extract in with your buttermilk. Transfer the batter to a 9" square baking dish and spread lightly to the edge. 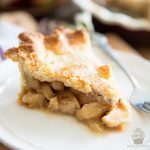 Delicately pour the reserved syrup over the batter (place a spoon under the stream of syrup to help break its fall) and bake for 40 to 45 minutes, or until the top is beautifully golden and appears completely set. Remove the cake from the oven and allow it to cool for a few hours before serving. 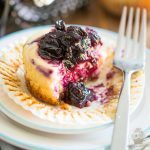 This recipe is SO easy, Kiara, it’s no use resorting to boxed cake! I’ve not doubt that you’ll be a total convert once you’ve tried the real deal!